Apple’s battle with the Telecom Regulatory Authority of India (TRAI) is taking a serious turn and might end up in a court soon, as the company is reportedly contemplating legal action against TRAI over the mandatory installation of an anti-spam app. TRAI wants Apple to list a DND app on the App Store which allows users to report spam calls and messages, but Apple has refused to do so on the grounds of privacy. 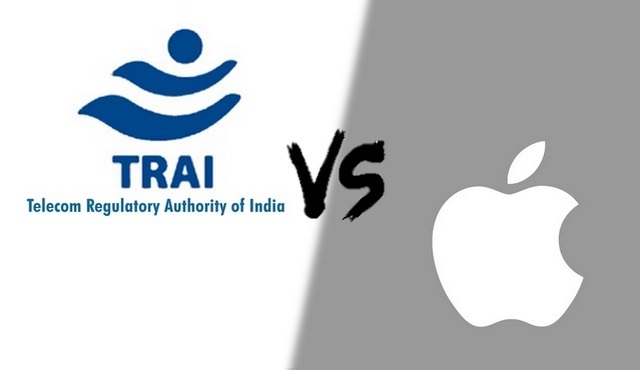 Following the denial, TRAI threatened that it will direct telecom operators to deactivate Apple devices if it fails to comply with the demand. According to a new report, Apple is now exploring the option of taking a legal action against TRAI over the latest regulation, which the regulatory authority claims, will provide users great respite from the menace of spam. Insiders with knowledge of the ongoing issue have revealed that the company is weighing the possibility of taking legal action against the regulatory authority, adding that TRAI can’t force telecom operators to ‘take any action which is not in their ambit like barring handsets from their network’. The comment from the source references TRAI’s regulatory terms, which state that telecom regulators will be forced to delist and deregister a device, iPhones in this case, if the aforementioned app is not installed on a smartphone. Apple also argues that iOS 12 will bring a native spam filtering feature, which eliminates the need for installing a third-party app. “These features will take care of what TRAI wants – to check unwanted calls and messages. So, the new rule has come as a surprise”, a company insider was quoted as saying by the EconomicTimes. The DND app being advertised by TRAI goes through the call and SMS records on a user’s smartphone and then flags spam messages after a thorough analysis, which Apple claims is a violation of privacy, and that is why it can’t be listed on the App Store.